The first poster for one of the most anticipated films of the year has arrive. We got our first incredibly brief look at footage from director Alfonso Cuaron’s long-awaited sci-fi film Gravity last night ahead of the trailer debut on Thursday, and this first poster does a magnificent job of teasing the vast and dangerous nature of space in the film. 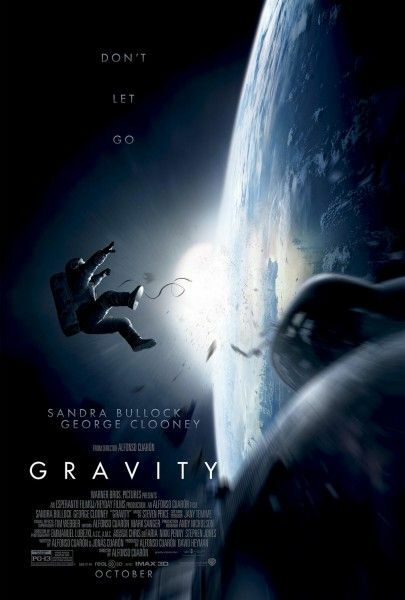 The story centers on an astronaut (Sandra Bullock) who is stranded alone in space following a catastrophic event aboard a spacecraft. George Clooney also stars, but Bullock is rumored to spend the majority of the screentime in the film utterly alone. The pic was originally slated to open last year, but was subsequently pushed back so that more time could be spent on the visual effects. With a master like Curaron at the helm, this is sure to be unlike anything we’ve seen before. Hit the jump to take a look at the poster, and check back here tomorrow to watch the first trailer. Gravity opens on October 4th in 2D, 3D, and IMAX 3D. Via WB. Click to enlarge.